Dame’s Rocket (Hesperis matronalis) is a member of the Mustard (Brassicaceae) family, as is Garlic Mustard (Alliaria petiolata). One of my fellow Wild Ones members commented to me the other day that they had spent an hour each morning before going to work deadheading Dame’s Rocket (Hesperis matronalis) from the very, very steep retaining wall along side their home until she had filled five large garbage bags with blossoms. 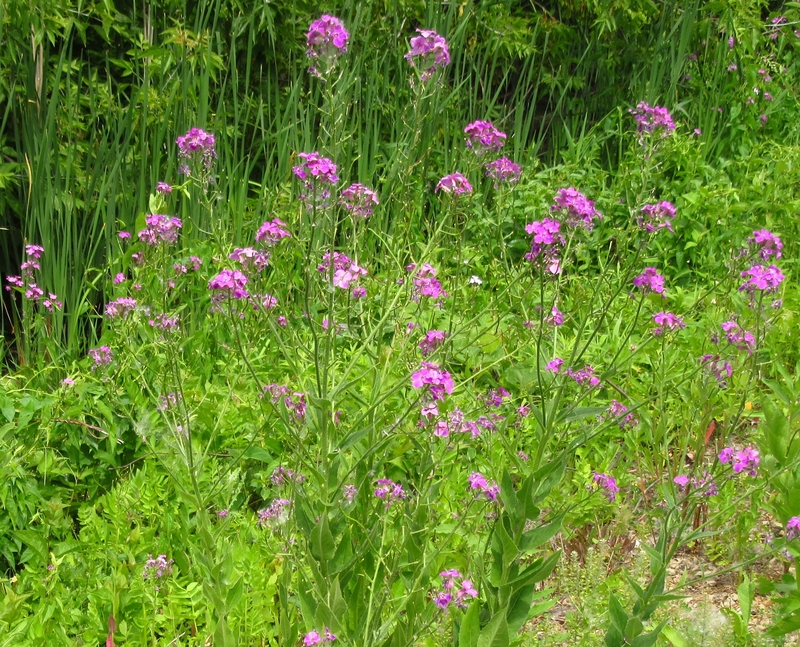 She was grateful to learn that Dame’s Rocket is a biennial and therefore the remaining plant should now die and leave its roots to help maintain the hillside until native plants are transplanted to take their place. 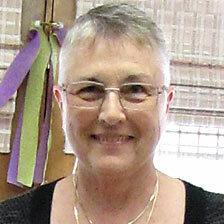 Another member wrote recently that she had been to a local non-profit organization’s plant sale where they had potted Dame’s Rocket for sale. She knew this was a no-no, but needed some details to pass along to the non-profit organization. 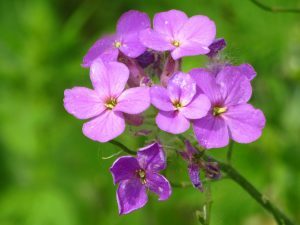 Dame’s Rocket is on the Wisconsin’s noxious weed list. It’s restricted. “Restricted species are also subject to a ban on transport, transfer and introduction, but possession is allowed, with the exception of fish and crayfish.” Go to NR 40 for complete details. Remember Dame’s Rocket has four petals and native phlox (Phlox divaricata, P. glaberrima, P. pilosa) have five petals. 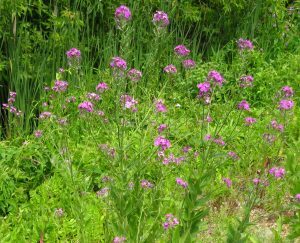 There is no doubt Dame’s Rocket is a beautiful blooming plant, but it is terribly aggressive when sharing its seeds and soon takes over precious ground which could be growing beneficial native plants for our wildlife. Planting native phlox (Phlox divaricata, P. glaberrima, P. pilosa) would be a far-better choice.